My oldest son just turned 3 this year and we celebrated the day with a Dr. Seuss themed birthday party! Our party supplies were provided by Party City and they could not be any cuter! He is a big fan of the Dr. Suess books and so he was crazy about this theme. All the kids and the adults at the party loved it as well. Everyone loves thinking of their favorite Dr. Seuss story. 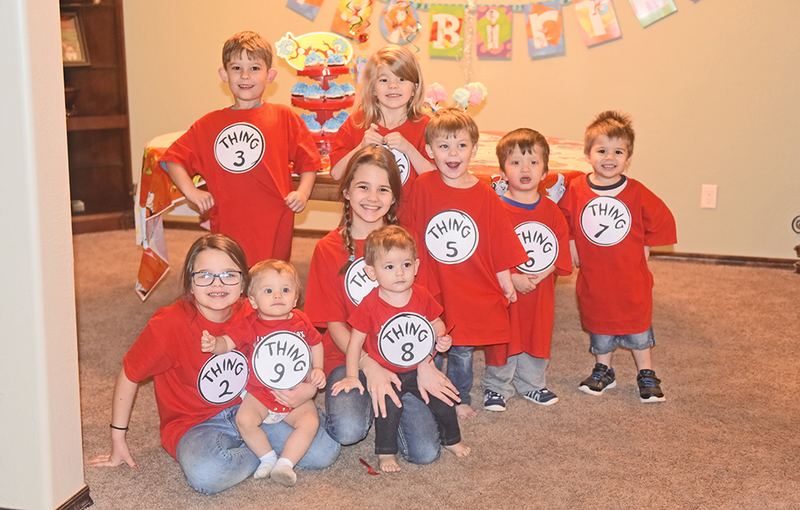 Dr. Seuss is definitely a birthday party theme that all generations enjoy. 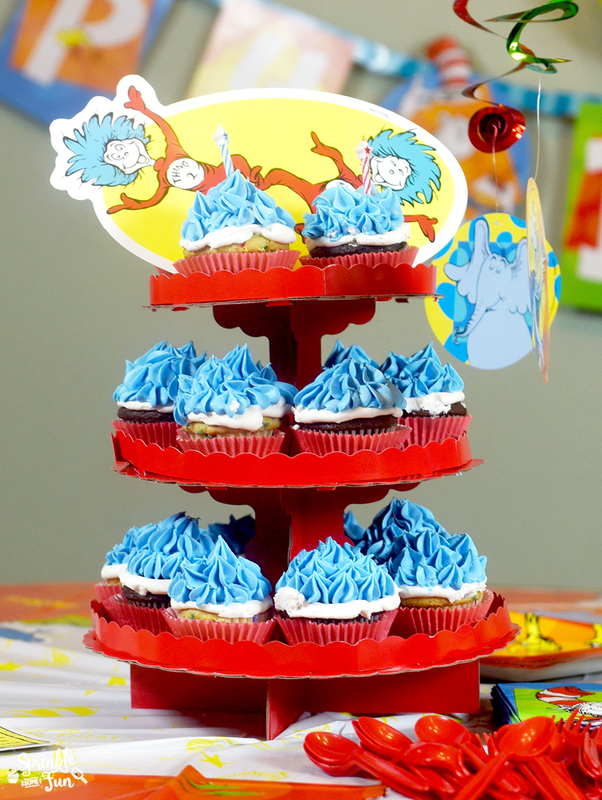 This Dr. Seuss Birthday Party is perfect for any Dr. Seuss book lover from young to old! From “Green Eggs and Ham” to“The Cat in the Hat”, this party has it all! You can use this party idea for a kid birthday or even to celebrate Dr. Seuss’ birthday on March 2nd. 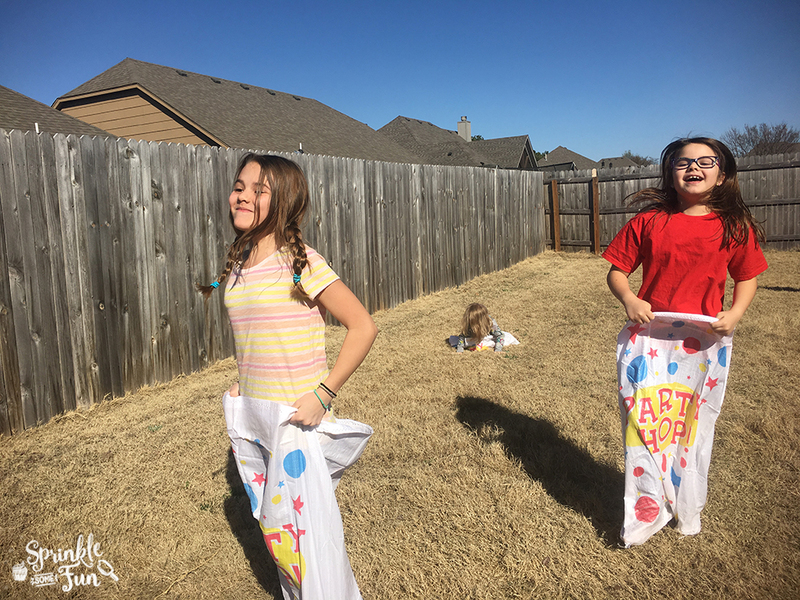 We love throwing a Dr. Seuss party to encourage reading in our kids. 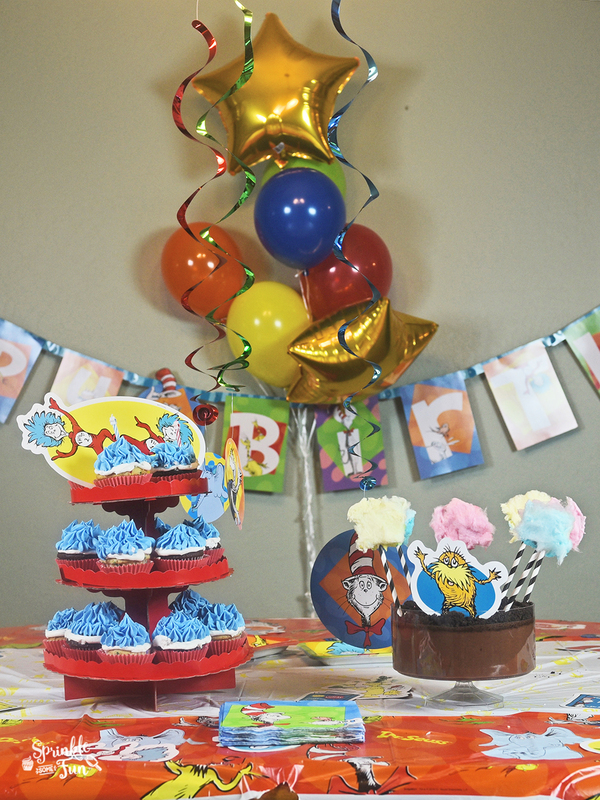 The best part is that this party is so easy to set up using the Dr. Seuss party decorations from Party City! 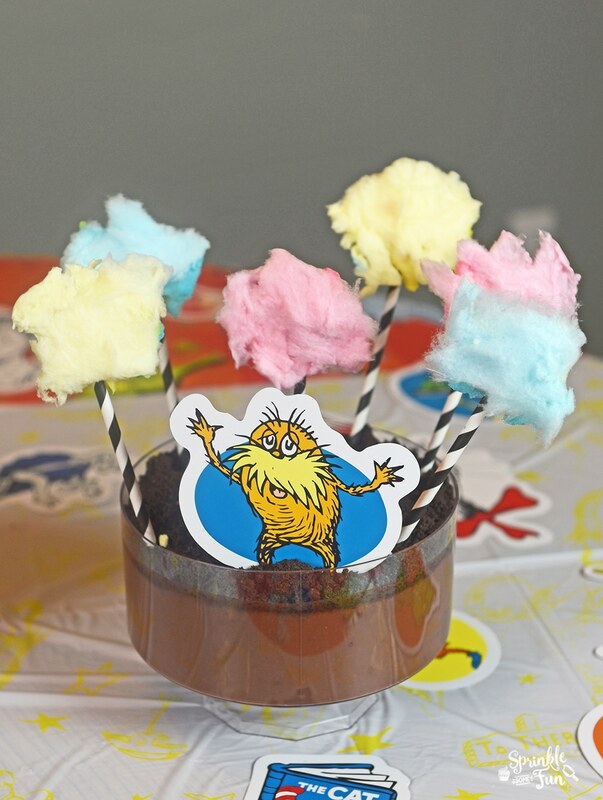 We enjoyed this Truffula Tree Dirt Pudding at the party and the cotton candy Truffula Trees were such a BIG hit! To make your own just use a couple of family sized chocolate pudding mixes and pour into a trifle bowl like this one from Party City. Then place ground up Oreos on top to make it look like dirt. The Lorax Decorations found in this Dr. Seuss kit from Party City. For each tree: Take a little bit of brownie and roll it into a ball. Place the brownie ball onto the top of the straw. Cover the brownie ball with the cotton candy to look like a Truffula tree! These were really easy to make, but they did get moisture pretty fast. They should work just fine by making them no more than an hour ahead of time. Otherwise use a feather boa fur to make them instead of making them edible. The kids really loved the cotton candy for sure! These Thing 1 and Thing 2 Cupcakes turned out adorable! I sent my mom this picture of Dr. Seuss cupcakes from Partylicious and she recreated them! She used a medium star tip and piped on blue “hair” on top of the white iced cupcakes. It was a lot of icing, but they turned out super cute! Thing 1 and Thing 2 Decorations found in this Dr. Seuss kit from Party City. My favorite part of this whole party was the shirts we made with the Dr. Seuss Thing 1-9 Patches with red T-Shirts from Party City. We had one for every kid at the party which was all the grandkids on my side of the family! So cute!!! 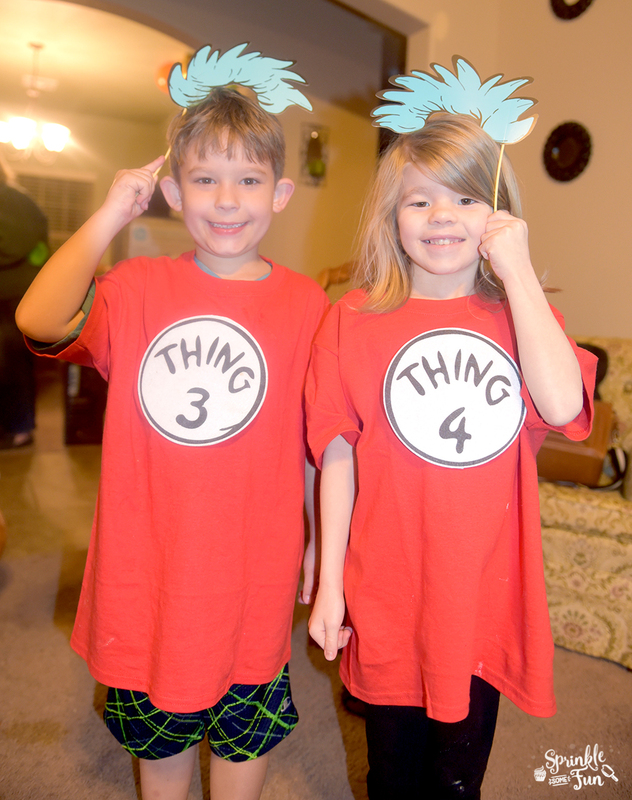 The kids (and adults) also loved all the Dr. Seuss Party Photo Booth props from Party City as well. Pretty much all our favorite Dr. Seuss books were represented! What is your favorite Dr. Seuss book? March 2nd is the 113th birthday of America’s favorite author, Dr. Seuss and the “Hat’s Off to Reading” campaign. A party like this is sure to bring reading Dr. Seuss stories to life! 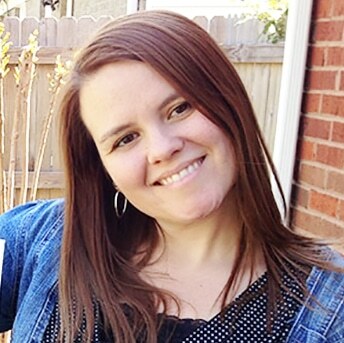 For more great Dr. Seuss party decor be sure to check out Party City!